This is because MRIs can generate images of bodily tissue with much more detail than could be found using a standard X-ray. While X-rays can only show hard tissues, MRIs can also show soft tissues like organs, muscles, and ligaments. Despite the importance of MRIs, traditional MRI technology is known for being stressful, as it requires the patient to be fully surrounded by the machine during the scan. This is a particularly harrowing experience for claustrophobic patients who don’t like being in enclosed spaces, pediatric patients who want to hold a parent’s hand during the scan, and larger patients whose size might prevent them from fitting in the traditional MRI’s tube. 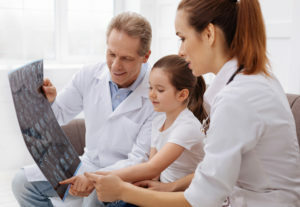 At Tahoe Fracture & Orthopedic Medical Clinic, we understand that the thought of being diagnosed with a potentially serious medical condition is a stressful experience in and of itself. That’s why we’re so pleased to offer open MRI technology to patients in Minden, NV, and the surrounding area. Our open MRI machine features a wide, rotating table, offering patients a calm and relaxing diagnostic experience. If you would like to learn more about the open MRI technology that Tahoe Fracture & Orthopedic medical clinic has brought to the Minden, NV, area, please call us today. Our knowledgeable team can provide you with further information about our open MRI machine and answer any questions you may have.